Weekly Glimpse #2: Electro Wraith – Polska Lemon Ltd. The Electro Wraith’s UI art. 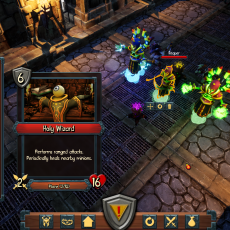 The Electro Wraith is a ranged minion you can use in your dungeon in Heroes of Fortunia. 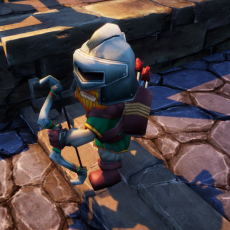 Currently, it is the only ranged minion to shoot out a beam projectile, meaning it cannot be dodged or outrun like other projectiles. In addition to that, the Electro Wraith‘s beams also stun the enemy hero for a brief period of time, which causes all actions (including mana regeneration) to briefly stop. 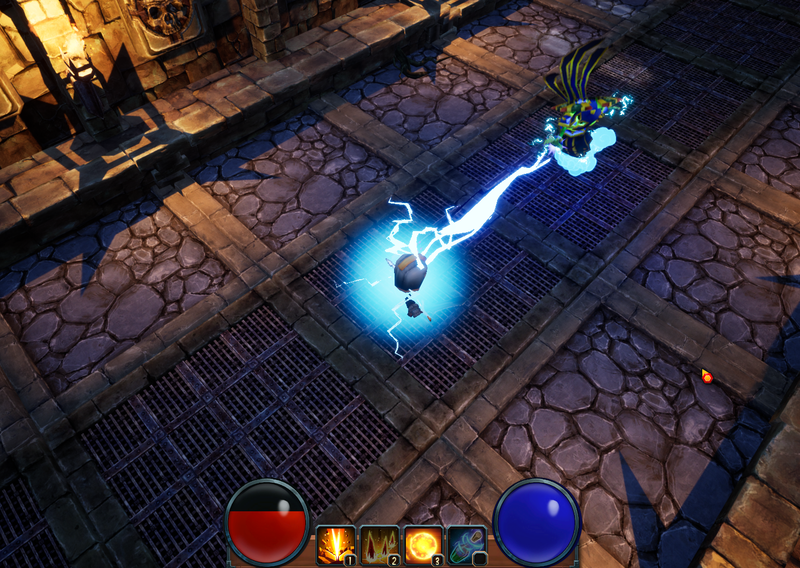 The Electro Wraith, firing its beam projectile. It is a legendary minion, meaning you can only put a maximum of 1 of it in your dungeon, but even a single Electro Wraith can present itself as quite a threat!